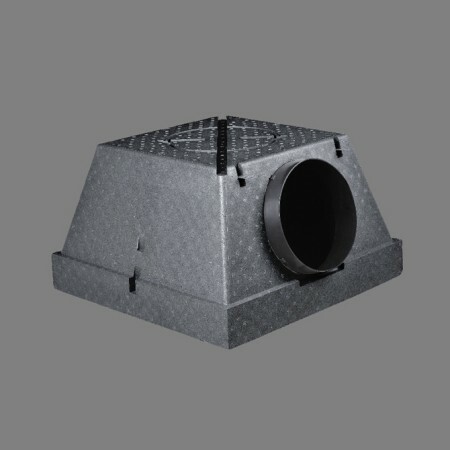 BOXTHERM plenums are designed for mounting in diffusers in air conditioning installations and connection in flexible circular duct. The maximum operating temperature is 55 ° C in air supply. These plenums are suitable for diffusers series AXO, RXO, PLAY, OTO and NEX. The plenums BOXTHERM are made of expanded polystyrene (EPS), material that acts as thermal and acoustic insulation.